Quareia – Module 2 now available. An announcement of the availability of Module 2 in the ongoing work for a new school of magic – Quareia – and some thoughts on this module from well known magician and writer, Josephine McCarthy. I urge my readers to take a look at this material. Even if you do not happen to be interested in pursuing a magical path, the information will help you better understand a completely different world view that steps outside the polarized lines of skepdebunker and believer. I was going to do a book review of the tome that I just finished reading but, honestly, since I can not give a positive review and since I refuse to disseminate negativity about specific persons on the internet, I want to address this topic in a general sort of way. I am not even going to address the specific subject of this book since, to do so, would likely reveal the author. In some ways, this individual is quite brilliant and I would not ever discourage someone from doing research into a topic that interests them. What I would encourage, in both this writer and in other writers in the paranormal and cryptozoological fields, is learning something about how to write an argumentative piece. Now, some people might say, “I don’t want to argue anything; I simply want to present the evidence I have gathered” or “really, this book is just about the folklore and legends that I have discovered about X phenomenon”. In my experience, this basically means that the writer is giving themselves permission to go on and on, giving example after example, ad nauseum, around some vaguely defined theme that leaves the reader wondering why the hell they are reading this book when they could have re-read something that made sense. Yes, dear writer, simply giving a book a title does not mean that you have a thesis to your book. In the opening matter of the book, you need to make it clear what the book is supposed to be about and then adhere to that thesis throughout the book. Even if you do not want to argue for the reality of something, you still need to let the reader know what you are talking about, why you are talking about it, perhaps why you think it is interesting and how you are going to present your material. Then, you need to adhere stringently to that promised theme. The only real exceptions to this straightforward piece of advice are people writing encyclopedic texts about the unexplained. Readers already know, when looking at these books, that they will be exposed to a wide variety of topics. Folks, writing about the paranormal does not mean that we have to completely abandon the dictates of logic. I could probably write a whole post on this but will settle for this one example. It is commonly the case that a paranormal writer will start with a hypothesis and then go to mind-bending lengths to make all material covered in their presentation fit into that hypothesis and will ignore evidence of or even the presence of alternate hypotheses. 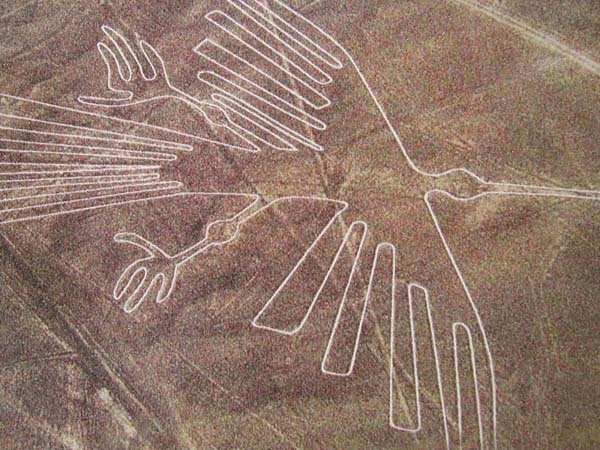 For example, the Nazca lines had to be constructed with the help of ancient aliens since they could only be seen from altitude. That is certainly a theory and there may be evidence for it but did any of these writers do any research into the spiritual practices of the people who built the lines? Bet there was a shaman or two or several dozen who was capable of out of body experience that included ‘flying’. For all we know, these so-called primitives worked out a way to make a glider or hot air balloon. Ancient alienists and many historians have a distinct bias against the idea that ancient people were as smart as we are and quite capable of working out tech for something they really wanted to do. Another good example, is the paranormalist who has developed some unified field theory of the paranormal and is determined to fit all phenomenon into their fancy box. While there may clearly be something to what they are writing about, they crash and burn their own theory by trying to extend it into regions that they have no clue about. Dear writer: I understand that you are deeply impassioned about your topic and that you have reams and reams of notes about this, that and the other thing related to that topic. That fact does not mean that you have to share every single one of those notes with your reader and turn your book into a 7000 page monstrosity that only the most dedicated reader will ever get through. Remember, O Writer, that not everyone who picks up your book is going to be as excited about your topic as you are. No one is going to be interested in the story that you got from someone’s cousin’s friend’s brother who was on a mission in Malaysia 27 years ago. Skepdebunkers do this all this all the time (see the recent stories about UFO sightings and peak alcohol consumption periods) but, unfortunately, so do writers of the paranormal. Again, think of the Nazca lines argument. It does not follow that since the lines can only be viewed from altitude that ancient aliens must be responsible for their construction. This is one possible theory but it is not a fact. 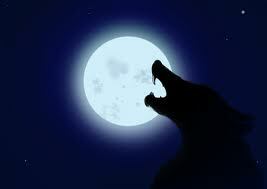 These are a few of my favorite paranormal writing gaffes. Perhaps I will cover more in a later post. I normally post on Tuesdays but I wanted to make a short announcement here to those who read the site and are interested in the magical arts. This link will guide you to the home page of a new school of magic called Quareia – Latin for the quarry. The school is a joint project being developed by Josephine McCarthy, a noted British adept, and a group of magicians from across the world. It is the result of Ms. McCarthy’s stated desire to establish a system of magical education that is free but that will develop the skills needed for anyone to become a magical adept. Ms. McCarthy has taken her wide ranging magical skills and, in conjunction with magicians such as Frater Acher, a well known practitioner from Germany, has stripped magical practice down to its essentials so that anyone, of any tradition, can practice what she is putting forward. I have had an opportunity to look at the first few lessons of her Apprentice curriculum and I can say without reservation that, if you are interested in magic and have some self-discipline, you could do far worse (and pay far more) than following this course of instruction. “David has also studied shamanic and magical traditions with elders from numerous cultures including Europe, Tibet, Native America and Africa . . .”. The text goes on to elucidate Mr. Weatherly’s energy work credentials as well as mentioning his study with Taoist masters and so forth. I hoped, therefore, that the author might approach his subject from a more magical point of view. Unfortunately, for me, Mr. Weatherly seems to have left most of his magical/shamanic credentials at the door while writing this book. I will not, however, give the book a negative review simply because it did not meet my standards for magical theorization. My personal feelings aside, Strange Intruders is an interesting book that covers a wide range of paranormal topics of the “things that go bump in the night” variety ranging from the djinn to Grinning Men to psychic vampires. I am not quite clear on why the author chose the topics that he did but he presents interesting facts, history and case studies related to all his chapters. Mr. Weatherly writes in a personable and engaging style and, unlike some writers, he does not belabor his points. His writing is smooth and concise but I did find myself wishing for a little more substance as he went along. This work was obviously intended as a summary of a wide range of topics, and it accomplishes that goal admirably, but I would have loved to hear more about some of the topics. I know, for example, that Mr. Weatherly has written on the Black Eyed Children (a topic in this book). I think it would be quite possible to write a book about any of the topics included in Strange Intruders. Perhaps that is the writer’s intention but, for a paranormal geek such as myself, each chapter of the book was something of a tease. I constantly found myself wanting more and that may have been the author’s intention. For those of you that are research oriented, the book has a nice bibliography that will provide beginning sources for many of the topics covered in the chapters. I am sure that I will be making use of that book list at some point, since it is obvious that Mr. Weatherly actually does some research for his books rather than simply relying on the Internet and popular sources. While I was disappointed that Mr. Weatherly did not seem to bring his magical and energetic explorations of these topics into the mix, except peripherally, I did find his presentation of theories about the various entities to be even handed and not aligned to just one point of view. I would have been happier to hear him say, “In my experience, X . . . but others have theorized Y”; however, I do not know what editorial or personal limitations he might be working under. In all, I recommend Strange Intruders. For those with little to no background in the paranormal, the book provides an interesting overview of a number of phenomenon that scare people on a fairly regular basis. For the more experienced paranormalist, the book introduces topics that might not be familiar to the reader or, if they are, will certainly provide some new information on those topics. Mr. Weatherly has done a nice job of putting together a compendium of things that go bump in the night without writing a boring dictionary. I hope that he continues his research and brings us more in-depth coverage of some of these topics. As I mentioned in my last post, I am recently returned from an 8 day trip to Japan. As I write this, I am still recovering from the wonders of being crammed into a metal cylinder and hurled through the air at high speeds for approximately 12 hours. More than that, though, I am in the process of unpacking this phenomenal experience and what it is going to mean to me spiritually in the long run. I include this photo because it speaks volumes to me about my Japanese experience. You will note a ladder in the foreground and a man on that ladder. 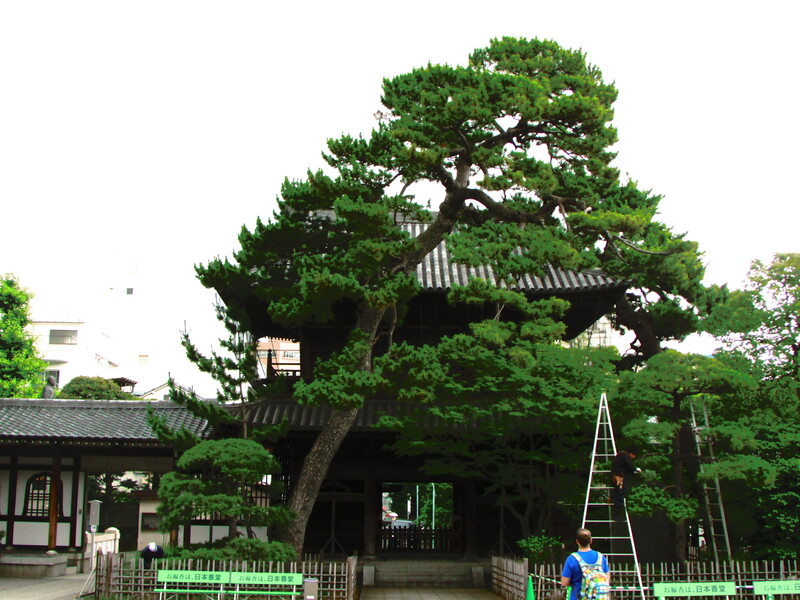 That gentleman is up that ladder trimming this gorgeous tree by hand – with hand clippers. You will note that the grounds around him are also well manicured. That is because they, too, are carefully tended by a staff of gardeners who do everything by hand. The atmosphere of beauty and silence is thus preserved so that those who visit the site can contemplate the loyalty and sacrifice of these warriors rather than listening to power mowers, electric hedge trimmers and leaf blowers. For those of you who do not know the story of the 47 Loyal Samurai, here is the Wikipedia site. My visit to this site was one of the high points of my trip. My group spent the morning there, despite rainy conditions, and honored these samurai in our own way and with incense sticks that one purchases at the site. There is a deep sense of melancholy in the place but also a strong feeling of contentedness bordering on joy. It saddens the heart that these men had to go so far to restore their honor but it gladdens the heart to see that their sacrifice has been honored continuously for over 300 years. They have not been forgotten or relegated to the pages of a dry history book. My major takeaway from this trip was a pretty simple one. The Japanese know how to honor their spirits. Everywhere I went in Japan, from the densest urban area to more rural towns, I saw cemeteries with headstones and wooden markers that honored the dead. If one went into one of the cemeteries, one quickly found evidence that the memorial sites were tended and incense burned as people communed with their dead relatives. Shinto (Japan’s native religion) temples/shrines abound throughout the country. I saw shrines in places like Mount Fujiyama and in the midst of Kashiwa City, where I was staying, as well as more elaborate temples in places like Nikko. No matter where those shrines and temples might be though, it was not uncommon to see someone making an offering and praying before the shrine. During the trip, I was privileged to train with a Japanese sword master and Shingon Buddhist priest. Shingon is a melding of Vajrayana style Buddhism (think Tibet) and Shinto, the indigenous religion of Japan. Once our training was done, this sensei shared a meal with us and then took us into his garage temple before bidding us farewell. The atmosphere of that temple was so highly charged that I had trouble keeping my psychic feet on the ground. Why? In my view, it was simply because this temple, like so many others in Japan was well and truly cared for – the rites of Shingon were enacted there regularly and with the attention that only a true master can bring to such work. I found my experience of Japan deeply humbling and more than a little unsettling. I think of myself as a spiritual person and, in the post before I left, I defined spirituality as finding ones place in the spiritual world, but the Japanese made me realize that I have a long way to go in that quest. As a consequence, I am considering how I can translate my experience into practice. As always, I will keep you posted as I go along but, for now, I think that I am going to go place a plaque that I had carved in Japan on my ancestor altar and have a talk with the ones who seem intent on hitting me up side the head with a cosmic clue by four. I am sure that I will have more to say on this topic as time goes by – as I mentioned, I am unpacking a lot from the trip – but I will return to my more regularly scheduled program next week. Just wanted to let everyone know that I got back from Japan in one piece and that the trip was absolutely awe inspiring. I got to do a lot of sight seeing in addition to doing some martial arts training so it was a win all around. I will have much more to say in my next regularly scheduled post (08 July) and likely past that since this journey was quite the experience for me. Now, if I can discover a magical cure for jet lag, I will be all set . . .